As a Google Premier partner, Madden has access to the latest industry innovations and relevant marketing best practices. 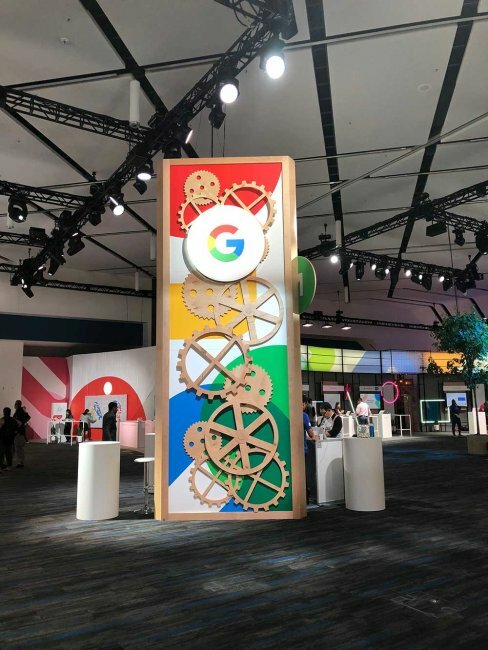 This partnership affords us exclusive opportunities, such as attending Google Marketing Live each year to learn about new industry trends, products, and tactics. TrueView for Reach ads are optimized for efficient reach. They ensure a broad audience at the lowest CPM (Cost per Impression). These are important during the awareness phase of the consumer’s journey, when the goal is to increase perception of a product or destination and enhance brand recall. Six-second bumper ads are very effective at building brand recall and heightening awareness during the early stages of the consumer’s journey because they are unskippable. They can also be sequenced to build on one another or connect to longer TrueView ads to drive consumers from awareness to consideration and, eventually, through conversion. BrandLift ensures that clients get the most from their ads. Like TrueView for Reach, it is helpful during the awareness phase of the consumer journey. However, it carries over into the consideration phase later in the campaign. Google surveys users who have been served the ads and reviews their search activity to see how the ads resonate with those users. Then, they adjust ad serving based on these findings. Google reports the results after seven days. BrandLift is great for identifying new audience opportunities and achieving more actionable results for brands. Life Events Targeting is helpful tool from awareness though conversion. It’s important for destination marketers because it allows us to reach target audiences at moments in their lives when they are more likely to book travel. We can market to potential customers based on events such as marriage, engagement, graduation, and retirement. This same strategy can be modified to suit the needs of any client. TrueView for Action is optimized to drive conversions. These ads are most important later in the consumer’s journey. They drive conversions, and feature prominent, goal-oriented calls to action such as book now, learn more, buy, and other clickable features that will connect viewers directly with a client’s product, service, or website. For marketing agencies, and for our clients, YouTube’s latest ad innovations provide the flexibility needed to maximize effectiveness at each stage of a consumer’s journey. Shorter ads, like skippable 15-second TrueView ads and newer, six-second bumper ads, are perfect for the early stages, when potential visitors are just being introduced to a product or a client’s destination. They are long enough to raise awareness and spark interest, but are sometimes challenged to provide enough information to drive consumers to book travel or make a purchase. As advertisers, we want to take this heightened awareness and turn it into consideration. We want people to daydream, to picture themselves in the destination or owning the product. Then, once their interest has been piqued, we are able to bridge the space between advertisement and storytelling with long-form TrueView ads. At this stage potential customers start engaging with a story related to a destination or product, increasing brand favorability and shaping a viewer’s perception. Long form ads aren’t the only way to develop a story for a client’s destination or product. Using strategically and sequentially ordered six-second bumper ads can have a similar effect on driving conversions. They can even act as precursors to longer-form ads, as seen here. Bumper ads, unlike TrueView ads, can’t be skipped. When a viewer sees multiple bumper ads for the same destination or product, a distinct impression begins to form. Consumers begin to create a story in their minds, and are then driven toward that all-important stage in the consumer’s journey—consideration. Once a viewer has connected emotionally with a brand, they are much more likely to recall a given product or destination, and to actively seek channels for purchasing or booking. YouTube makes this easy, too, with features like TrueView for Action. Once a consumer has considered a product or destination, they will have ample opportunities to make purchases or book travel. In this way, YouTube provides advertising opportunities to drive consumers through the early stages of awareness all the way to the final stages of conversion. In addition to allowing us to learn about new products before they hit the market, Madden’s partnership with Google ensures that our clients receive the highest standard of service, and that their individual destination marketing goals are met. This partnership, paired with the dedication, knowledge, and experience of our digital marketing specialists, allows us to always be at the forefront when it comes to maximizing the effectiveness of available technologies on behalf of our clients. Q: What is your role at Madden and how did you get here?A: I first started out at Madden in a client-facing role on our Account Management team. With my background in marketing, I was thrilled when a position opened up for a Digital Marketing Specialist, and I’ve been on the team ever since. I’ve been at Madden for nearly six years, and five of those years have been spent honing my craft as a digital marketer. I have really been fortunate to be part of the large growth Madden has had as a digital agency. 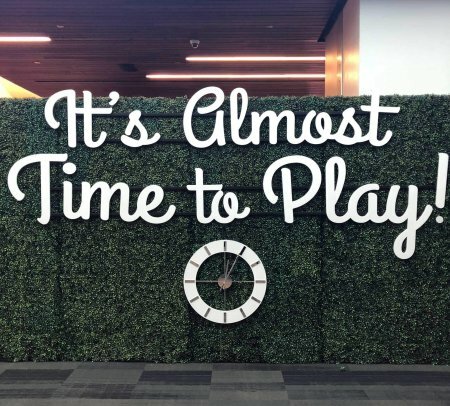 Q: What makes Madden a Google Premier Partner?A: In order to qualify as a Google Premier Partner, Madden maintains a certain level of ad spend, shows continuous growth, maintains a certain level of optimization, and requires a certain number of individuals to be certified in each product. We meet Google’s best practices across all of our accounts. Madden is in the highest tier for agencies when in comes to agency skill according to our Google Agency Development Manager, Brin Jimenez. Q: What is it like having such a close relationship with Google?A: We usually meet bi-weekly and frequently communicate via email to discuss our agency performance. The Google team that works with us just came to Tucson last month to present the latest YouTube tactics to help us better serve the needs of clients’ video marketing objectives. Q: What does having a Google Agency team mean for Madden?A: Having a Google Agency team really gives us the competitive edge over other agencies. Our digital marketers talk with Google all the time. Anytime a new beta opportunity comes up, our Google Agency Development Manager makes it a priority to help us vet clients to participate. In addition to our Development Manager, Brin, we have two Agency Account Strategists who focus on our key accounts. It is not uncommon to see our Digital Marketing Specialists polishing up skills in the Google Academy of the Ads or watching a live stream session. Q: How often do we receive new information on industry trends, tactics, etcA: Thanks to our Google Premier Partnership, we have these opportunities all the time. It is very exciting to have the chance to try the latest innovative techniques before they are available to other agencies. Once we are knowledgeable about a new product or beta, we begin testing right away. Testing out new techniques is key for destination marketing, and it gives us the ability to provide top-notch strategy to boost campaign performance. We also have the opportunity to participate in alpha testing when products are in the design phase, which allows us to directly help shape future Google products. Q: What new Google features are you most excited about?A: I am excited about so many new things after Google Marketing Live. Some of my very favorites are from the alpha non-disclosure sessions, which are kept so hush-hush, I can’t even mention them! My top pick from the keynote speech is TrueView for Action. I plan on this being a popular option for our clients looking to capture conversion. It will also enhance our ability to optimize through smart bidding, which really yields the data-driven results I am looking for as a Digital Marketer. Interested in learning more about these new YouTube offerings?